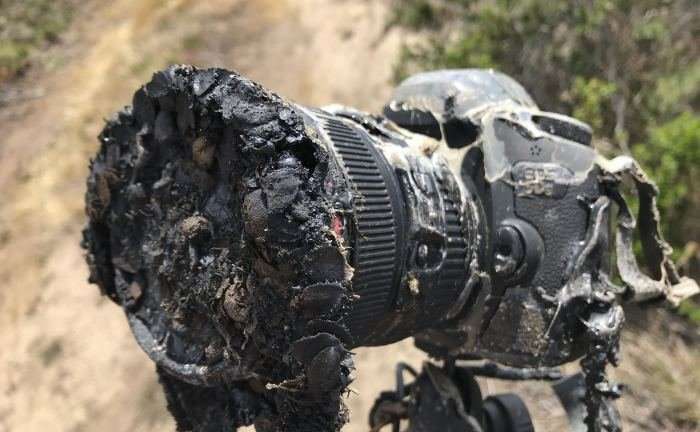 Home / Science / What happened to the camera that melted during a rocket launch? What happened to the camera that melted during a rocket launch? NASA photographers have always understood that photographing space launches is a risky business. Nobody is more familiar with it than Bill Ingalls, a NASA photographer who has been making images for the agency for 30 years. Both inside and outside the agency, his creativity and efforts are well known, as he always knows exactly where to place his cameras to take the perfect shots. Which of course raises the question, what happened with the camera in the picture above? This photo, which shows one of Ingall's long-range fuses, has been making its rounds on social media lately. As the accompanying gif (see below) shows, the camera was not far from the launch pad and was quickly consumed by the resulting fire. 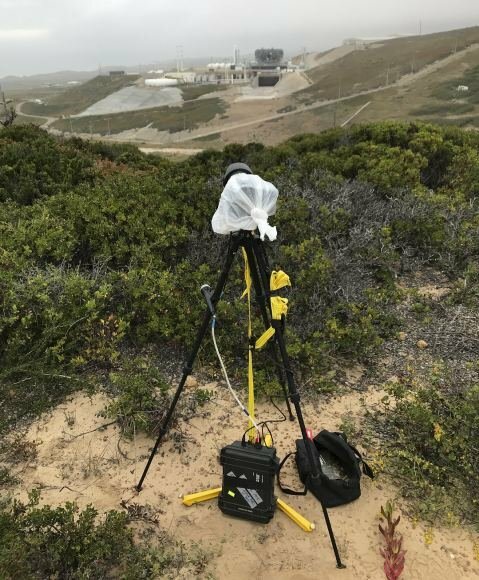 As Ingalls explained in a NASA press release, the destruction of the camera was the result of an unexpected bushfire that started when flames from the launcher set some of the nearby grass on fire. "I had six remote controls, two out of the launch Pad safety perimeter and four inside, "he said. "Unfortunately, the launch started a grass fire that trickled one of the cameras outside the perimeter." The event he photographed was the launch of the NASA / German Gravity Recovery and Climate Experiments (GRACE-FO) project. 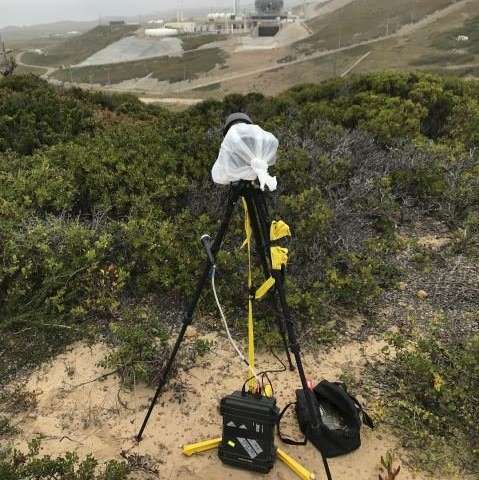 The project took place on May 22, 2018 at Vandenberg Air Force Base. As part of a partnership between NASA and the German Research Center for Geosciences (GFZ), this satellite is the successor to the original GRACE mission, which orbited Earth in March, 17 December 2002. Unfortunately, the launch triggered a bushfire that swallowed the camera and melted her body. Firefighters reported to the scene to extinguish the fire, whereupon he met Ingalls, where he returned to the site. Fortunately for Ingalls and the spectators, he was able to open his body and fetch the memory card that had not been damaged. As a result, the images of the fire were caught as it approached the camera. Strangely enough, this camera was the farthest from the launch pad, about 400 meters away. The four other cameras that were set up in the vicinity were undamaged, as was the other remote camera. But before anyone begins to think that this remote control is the unfortunate one, the "toasty" camera, as Ingalls calls it, is likely to be exhibited at NASA headquarters in Washington. In the meantime, Ingalls will be to Kazakhstan to photograph the landing of the crew of Expedition 55 of the International Space Station on June 3. He assumes that this task, unlike the last, will not have any surprises!